Fans attending Amazon's San Diego Comic Con panel today are in for a treat as their two hour long mega-panel will be featuring the creatives behind no less than six of their new and returning series. 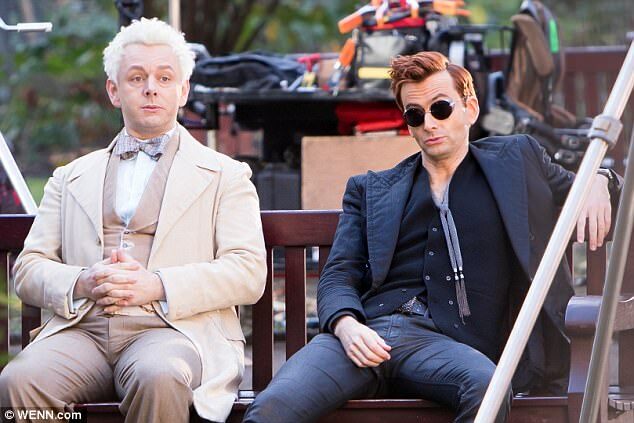 Among these is Good Omens, the six-part adaptation of the beloved comic novel of the same name, starring David Tennant and Michael Sheen in the lead roles of Crowley and Aziraphale. Good Omens is represented on the panel by Neil Gaiman, who co-authored the book in 1990 with the late Terry Pratchett, and who also scripted and executive produced the show. Joining Neil for the Prime Video event are Carlton Cuse (Tom Clancy’s Jack Ryan), Ben Edlund (The Tick), Sam Esmail (Homecoming), Gale Anne Hurd (Lore) and Naren Shankar (The Expanse). The panel takes place in Ballroom 20 between 3.30-5.30pm. Fans are promised surprises and exclusive first-look footage during the event. Mike Benson of Amazon Studios Marketing explained the thinking behind the panel. "So many panels are all the same, and we're trying to make it just a better experience for the attendees who are there, keep it entertaining and reveal some news," he said. "We thought by putting different showrunners and different panellists on stage and releasing some clips and some moments from each of the shows that it’s going to be a different type of experience than just a typical panel and something Comic-Con attendees will really love." Good Omens is one of Amazon's most hotly anticipated new series and boasts a huge cast of major worldwide talent including Adria Arjona, Miranda Richardson, Michael McKean, Jack Whitehall, Sir Derek Jacobi, John Hamm, Daniel Mays and Nina Sosanya, plus many more. Set on the verge of the Apocalypse the series centres on an angel and demon who form a reluctant alliance to try to prevent the end of the world. Filmed on location in the UK and South Africa, Good Omens is set to premiere worldwide on Amazon in early 2019. San Diego Comic Con runs until July 22nd at San Diego Convention Center.